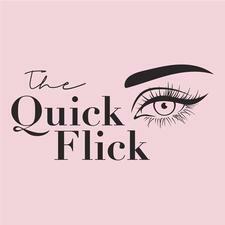 The Quick Flick was created by Iris Smit, a young Australian entrepreneur who was determined to make winged eyeliner easier for everyone to do! 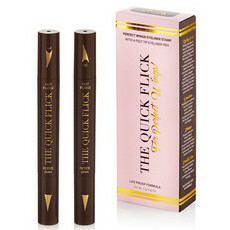 The Quick Flick is a pre-loaded winged eyeliner stamp designed to give you perfect wings every time, with a cat flick stamp on one end and a fine, felt-tip eyeliner on the other end. Each kit also contains two pens - one for the right eye and one for the left! Vegan and palm oil-free, The Quick Flick is also designed to be 100% waterproof, sweatproof and smudgeproof.